Before the movie, before the video games, before the mini series, in 1979 Avalon Hill released Dune the Board Game. You play as one of the houses (or influencing bodies) from Frank Herbert's Dune universe, and are bidding for control over the planet. Using your armies, money, and traitors you planted in your enemies ranks, you battle for control of strongholds on Dune. You win when you control three. 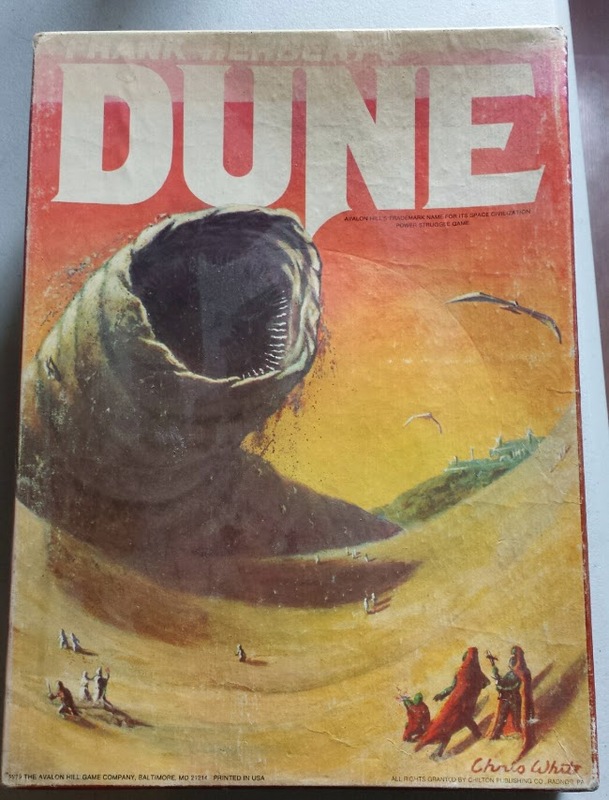 Dune uses secrecy in everything, as you hide your forces, technologies and wealth behind a small shield., trying to dupe the other players into thinking you are more powerful then you are. It is a wonderful game of combat, political intrigue and treachery and one of my favourite games. it is also considered the 108th best board game on Board Game Geek.